If you are looking out for some easy to cook, home made tea time snacks, here is a popular recipe for bread rolls. Take a frying pan and pour some oil and heat it for 1 minute. Add the ginger, garlic and chilli paste and saute for a few minutes. Transfer the cooked veggies in this pan and cook for another 10 minutes till veggies become tender. Add all the spices and salt in the veggies and stir well. Once the mixture is well cooked, add lime juice and coriander. Remove from fire and keep aside. Cut and discard the brown corners of the bread slices. Dip the bread slices in water, take this out from water immediately and squeeze out the excess water. Prepare the rest of the rolls in similar fashion. Refrigerate these rolls for 1 hour. Take a frying fan and pour oil and heat it. 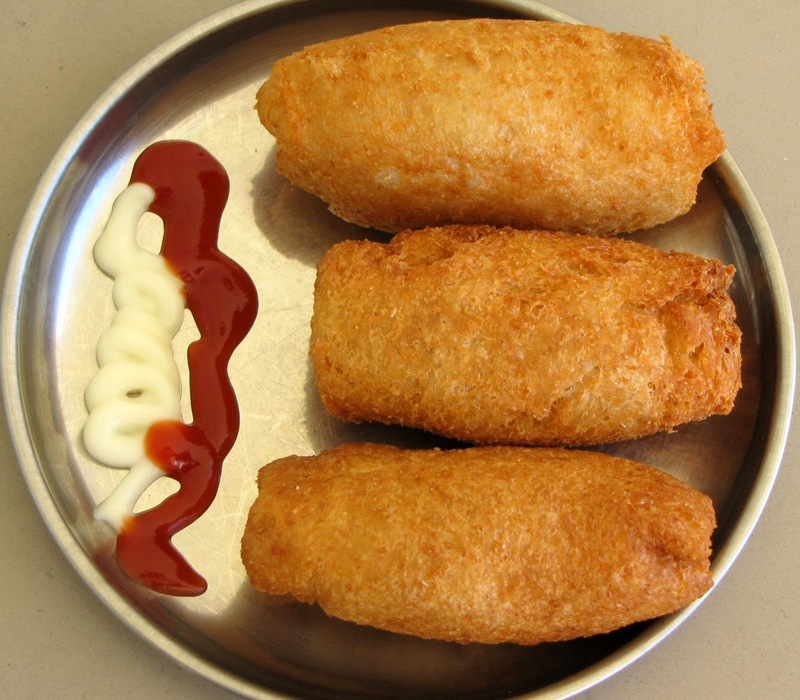 Deep fry the refrigerated rolls till golden brown. Fry the rest of the rolls in the same manner.